Broadcasting licenses and properties belonging to two media outlets and a published that Turkish government closed under post-coup emergency rule have been put up for sale by the state-run Savings Deposit Insurance Fund (TMSF). 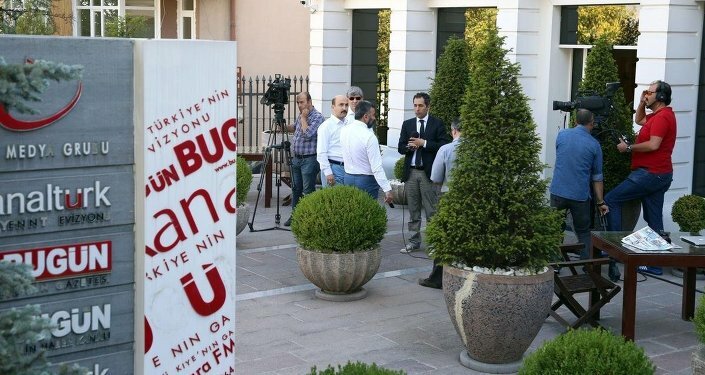 The state-run Anadolu agency reported on Sept 14, TMSF listed properties belonging to Kanalturk and Bugun TV stations, Kanalturk radio station as well as Koza İpek publication company. Broadcasting licenses were also included in the sale while the fund put the estimated sales price at TL 7.62 million [$2.2 million]. TMSF is expected to receive bids for the auction of the licenses and the properties put up for sale until Oct 6. Nearly 1,000 companies with a total value of $12 billion in assets have been seized and then transferred to the state-run Savings Deposit Insurance Fund (TMSF) since the coup attempt. The companies in question were mostly targeted as part of a sweeping state crackdown against the Gülen movement, which the government accuses of masterminding the coup attempt. The movement denies involvement in the abortive takeover.